We have just opened up a brand new addition to our apartments. Located just outside the main building we have built a stand-alone one-bedroom cottage. It will be perfect for a honeymoon or wedding couple, but all true romantics out there will truly love it! Offering more space than our standard one-bedroom units, it offers that extra sparkle of additional facilities and comfort. 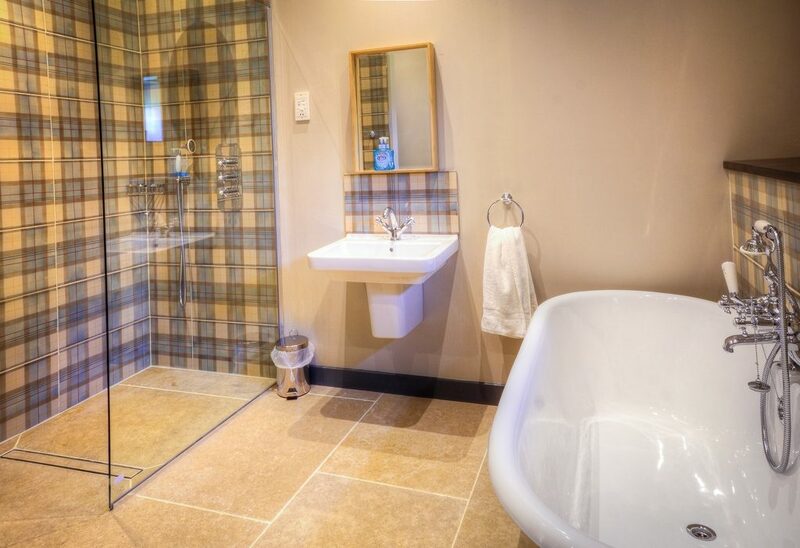 Benefiting from wonderful views over to the castle, it also offers a degree of privacy from all other residents. It will be wonderfully cosy all year round with the addition of a lovely wood-burning stove in the lounge, guaranteed to keep everyone toasty. 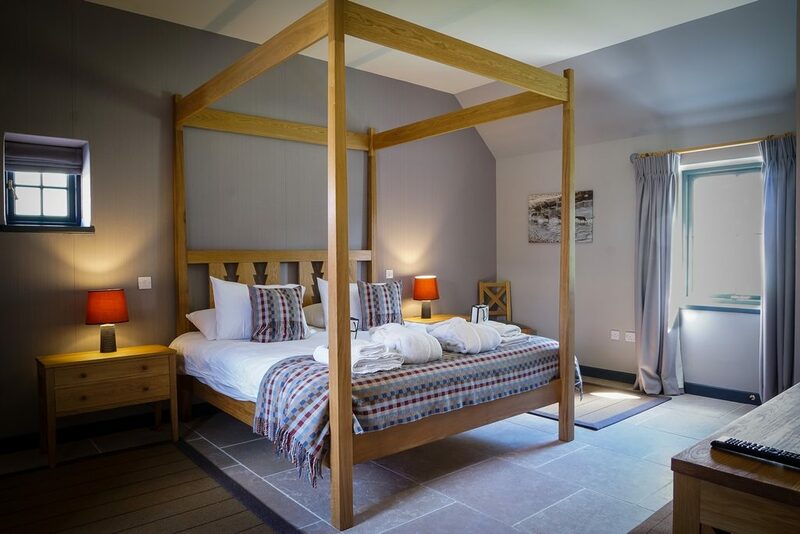 Other features include a large four poster bed, and a huge bathroom giving you the option of a large walk-in shower or roll-top bath for those moments of indulgence. As ever, all the internal furnishings are provided by ANTA Scotland, creating sumptuous contemporary interiors throughout. All in all, it’s a place you might never want to leave! 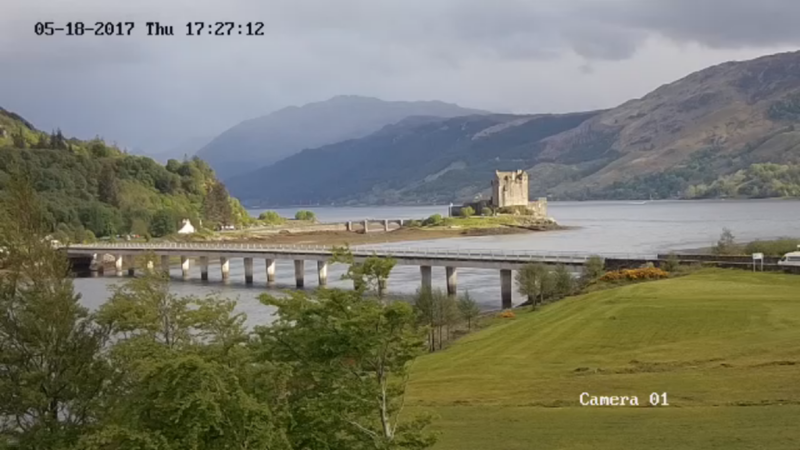 A NEW view of Eilean Donan – LIVE Webcam launch. So after a great deal of effort we have finally managed to install our brand new live streaming webcam, which is now up and running and beaming video to all corners of the world. Over the last 5 years, our first webcam, located over at the Visitor Centre of the castle has proved hugely popular, with quite literally millions of people utilising it. On site, we share a direct web-link for this camera to our visitors, and many of them will phone friends and family just so they can log on and enjoy a wee wave or greeting from their loved ones on the other side of the camera. Our 2nd camera, offering an entirely different perspective, has been mounted on the lee side of one of the building’s chimneys which helps to provide a little shelter from the worst of the highland wind and weather. The other benefit of this location is that it offers reasonably high elevation to view the castle across Loch Long, with Dornie Bridge in the foreground. As is the way in the highlands, the light around the castle is always changing, and is hugely influenced by the season, the weather, the time of day or the turning of the tides, so you’re guaranteed a different view every time you log on for a look. Indeed if our first camera is anything to go by, many of you are likely to have a wee daily peek, just to see what’s going on! Anyway, we hope you enjoy the new facility, and for those of you might be viewing from abroad, try to remember the time difference. You wouldn’t believe the number of people who contact us saying the camera’s not working without realising that night-time here can be pitch black!!! 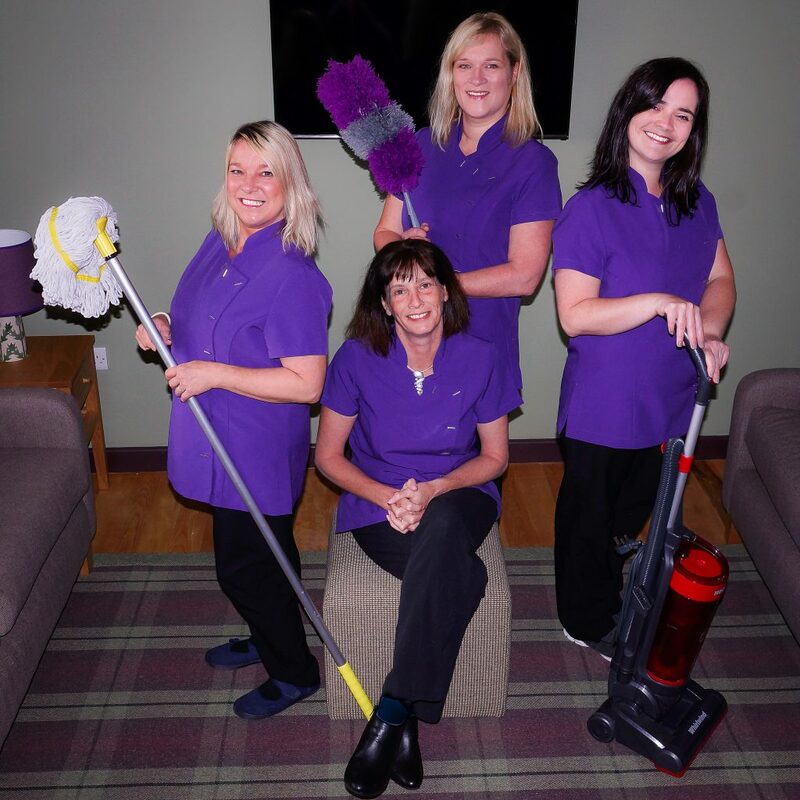 The foundation of any top-quality establishment is ALWAYS built on the people that operate it, and here at Eilean Donan Apartments we have four of the very best! The team is led by Manager, April Williamson (seated) who is ably supported by (L to R) Yvonne, Jacqui and Mandy. All four are local girls with extensive experience in hospitality. Starting any new venture like ours inevitably presents its fair share of challenges, yet the four girls rose to every one they faced and have approached the opening with boundless energy, enthusiasm and grace. 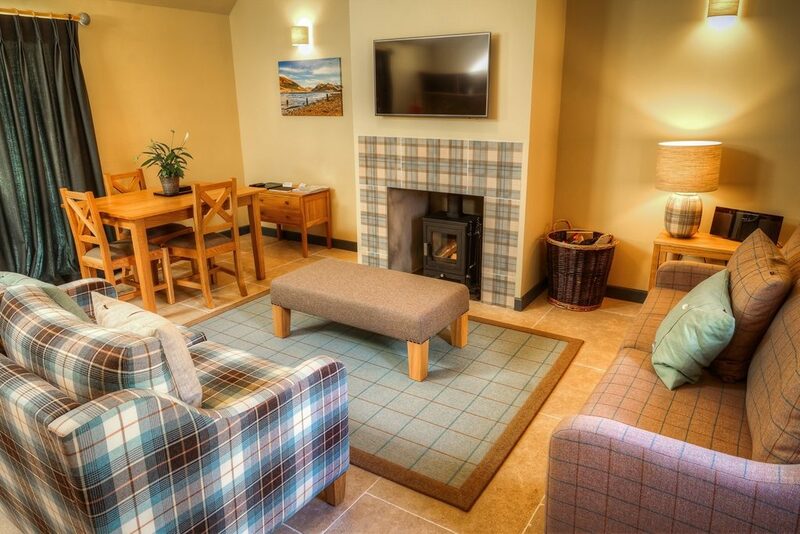 Their first priority has always been anticipating the needs of our guests, and every new check-in is greeted with the kind of hospitality the highlands is famed for. Unless you’re arriving in the middle of the night, at least one of the girls will be on hand to welcome you, take you to your apartment personally, and explain the various nuances of each unit and the equipment it holds. You’re bound to have questions, and the girls will only be too happy to help with any queries you might have. Suffice to say that the pride they take out of the place is only matched by the pride they put into it, so when you eventually meet them, make sure to stop for a wee blether; they don’t bite! They each have bags and bags of local knowledge and will very happily share that knowledge regarding local places of interest, sights to see, places to eat or the easiest place to pick up a spare toothbrush! If there’s anything at all that you’re not happy with in your apartment, please, please, please raise it with at least one of them. We can only rectify any issues if we know about them, and the girls would much rather hear about them while you’re here than read about them on some TripAdvisor review after the event!